There are many books on the technical aspects of film and video editing. Much rarer are books on how editors think and make creative decisions. 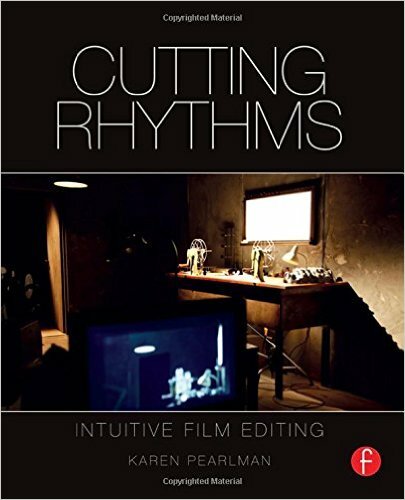 Filled with timeless principles and thought-provoking examples from a variety of international films, the second edition of Karen Pearlman’s Cutting Rhythms offers an in-depth study of the film editor’s rhythmic creativity and intuition, the processes and tools editors use to shape rhythms, and how rhythm works to engage audiences in film. While respecting the importance of intuitive flow in the cutting room, this book offers processes for understanding what editing intuition is and how to develop it. - An all-new companion website (www.focalpress.com/cw/pearlman) with video examples and links for expanding and illustrating the principles of key chapters in the book.